The DDA was introduced over 20 years ago and formed for the industry an invaluable set of standards, eventually becoming part of the Equality Act introduced in 2017. Stannah Engineering Director, Paul Clifton looks back at what it meant to those in the lift industry. 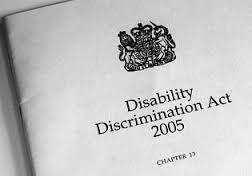 The Disability Discrimination Act was passed in 8 November 1995, over 20 years ago this Act of Parliament, had a goal of creating a society where disabled people and those with long-term health conditions can participate fully as equal citizens. Under the DDA 1995 an estimated 10 million people in Britain suddenly had new rights to fair treatment in employment, education and all customer services. Before the DDA was introduced access to many public services, transport, leisure, education meant many disabled people were excluded from society and potential business revenue lost. 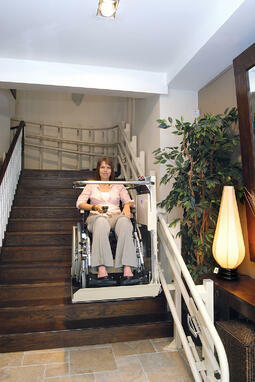 The DDA made a huge difference to the lift industry. 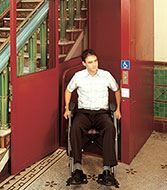 As a lift manufacturer, Stannah already supplied both passenger lifts and what we now know as platform lifts, but these were often for a single individual’s needs under special circumstances and known as access lifts or wheelchair lifts. The DDA 1995 required building owners and service providers to make reasonable ‘adequate’ provision to ensure independent and equal access to all persons in all non-domestic environments. However, this was very much open to interpretation. From 1st October 2004, businesses and service providers had a duty to make reasonable adjustments, considering practicality and financial restraints, to the physical features of their premises, in order to overcome barriers to access. In 2005 the DDA received royal assent. The Disability Rights Commission (DRC) announced a 2006 deadline which imposed a duty on public bodies to actively promote disability equality and in 2007 a new Commission for Equality and Human Rights began its work. The legislation now required all building with public access to ensure disabled access to all services, with building owners increasingly wanting to make their venue inclusive. The lift industry exploded with ‘new’ disabled access lifts, platform lifts that provided access as building owners demonstrated their premises welcomed all visitors and ticked the DDA box. At Stannah we developed an ever-growing range of dda lifts, with ever-changing lift standards and legislation keeping us on our toes. From 1st October 2010 it was goodbye DDA and hello Equality Act, forming a neat quartet of guidance surrounding lifts, building regulations and design guidance. Now our society had acknowledged that disabled people were not special cases but merely that all of society should be included in, and have access to, the built environment. Yes, wheelchair users, may have particular problems but have you ever had to use a double buggy for your children or a shopping trolley? At last the ‘disability’ tag was dropped in favour of recognising that stairs can present problems to all of us at some time in our lives. Whilst the DDA was incorporated into the Equality Act complaint lifts are still often referred to as 'DDA lifts', I guess because 'Equality Act lifts' isn't quite as catchy! Today the lift industry offers a myriad of people-moving passenger lifts to provide solutions for all buildings and all users, with almost all standard lifts designed around the equality requirements. These features include footprints that allow for a wheelchair turning circle, handrails, tactile easy-to-use controls, obstacle-free approaches on landings to include colour contract between lift and its surrounds, clear signage, defined lighting levels and stopping and levelling accuracy to avoid tripping hazards. We have come a long way. The DDA and subsequent legislation has changed our built environment and the lives of millions of people. It leaves a lasting legacy. Thank you DDA. Since the DDA/Equality Act was introduced Stannah Lifts have installed over 10,000 platform lifts along with thousands of passenger lifts. 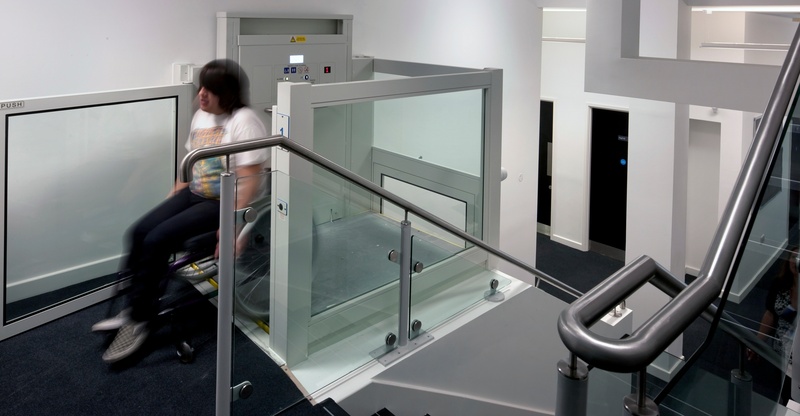 Over the last 20 years we have seen these change from access lifts through to wheelchair stairlifts travelling on an incline against steps, cabin platform lifts with automatic buttons and a cabin, and recent introductions of low pit lifts also known as Machinery Directive passenger lifts. Stannah has a wealth of experience providing lift products to move people and goods, enabling you to comply with the Equality Act. With nearly 50,000 installations across the UK and over 90,000 units on our service portfolio, we know we can help. Still unsure? No problem! Get in touch to speak to one of our lift experts . About the author: Paul Clifton has worked in the lift industry since leaving school and is an Engineering Director at Stannah Lifts Ltd as well as a Lift and Escalator Industry Association (LEIA) Quality and Technical Committee Member.